Recent Arrival! CARFAX One-Owner. ** ONE OWNER **, ** CLEAN CARFAX **, ** LOCAL TRADE **, **TEXAS EDITION**, **LT CONVENIENCE PACKAGE**, **FRONT BUCKET**, **ONSTAR**, **V8 5.3**, **2WD**, **REAR CAMERA**, 6-Speed Automatic Electronic with Overdrive, Cocoa/Dune w/Cloth Seat Trim.Reviews:* Powerful, fuel-efficient engines; many available configurations; well-built, comfortable interior; quiet highway ride. Source: Edmunds* If you don't already like the 2015 Silverado for the mere fact that it's a Chevy, this pickup makes a compelling case for itself with a sophisticated yet intuitive infotainment system, refined interior and an available V8 engine with class-leading power output. Source: KBB.com* The Silverado is the truck you know and trust. The modern body is chiseled and sleek at the same time. The dramatic stacked double grille in front is complimented with vertically stacked headlights on either side, outlined in chrome. The bumper is contoured as well. Also, its tough persona is further accentuated by the geometric lines of its new sculpted fenders and dual power dome hood. 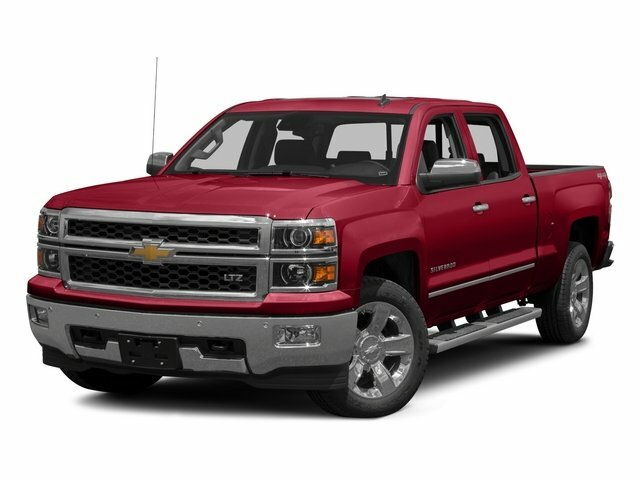 The Silverado currently comes in three models: Short Box Crew Cab, Standard Box Crew Cab, and Standard Box Double Cab. Each has six trims with the 1WT as the Base and the LTZ Z71 as the top-of-the-line option. Knowing that it's what's under the hood that counts, the Silverado is stacked with impressive engines. The 1WT, 2WT, LT, and LT Z71 come standard with the 4.3L EcoTec3 V6, with 6-speed automatic transmission. The LTZ and LTZ Z71 come standard with the 5.3L EcoTec3 V8, which is also an option for the other trims. Don't forget the 6.2 EcoTec V8 with 420hp. The Max Trailering Package, offered with both V8 engines, offers class-leading trailering capacity of up to 12,000 pounds. The ride is quiet and the interior more comfortable than ever. The center controls have been updated with an improved layout and are easy to reach. Chevy's MyLink system is an extremely intuitive and helpful system to use. It allows you to control your music, make calls, and navigate to a number of stored destinations all by using your voice. 2WT, LT, and LT Z71 trims get a 4.2-inch color screen to go with it, and the LTZ and LTZ Z71 get an 8-inch color touchscreen. In terms of safety all models come with 4-wheel ABS disc brakes with Duralife rotors, StabiliTrak with Electronic Sway Control and Hill Start Assist. Source: The Manufacturer SummaryWhether you are in the market to purchase a new or pre-owned vehicle, if you need financing options, we'll help you find a car loan that works for you! Even if you have bad credit, or are a first time car buyer, you can trust that Covert Ford Chevrolet Hutto will professionally fit you into the automobile of your choice. Please call Dan Covert or text at (512)993-7628 for personal assistance or come out and see us. You can also call the main number (877)918-0151 for assistance. We are just a short drive from these areas Austin, Round Rock, Georgetown, Leander, Pflugerville, Killeen, Temple and other local cities. Please come out and be apart of the Covert family. TEXAS EDITION 1LT TRIM includes Texas Edition badging and 20 wheels (Includes (Z82) Trailering Package (G80) locking differential and (RD4) 20 x 9 polished-aluminum wheels.